You know the importance of keeping everyone in your life healthy and germ-free. Supply your home, office and business with Purell instant hand sanitizer pump bottles to keep cold and flu season away. These bottles are easy to store around your living and work space so they're never far out of reach. The best part is that you can buy them in bulk for wholesale prices so you always have a replacement. Whenever you touch something, you can come in contact with the germs and bacteria that can be harmful to your health. You are more likely to catch harmful germs after using bathroom, toilet and urinal. Even in the kitchen, when you touch contaminated foods, utensils, garbage and other items, you are likely to come in contact with the germs. People working in the high risk contaminated fields like clinics and hospitals are at greater risks of catching infectious diseases. They have to follow strict cleaning and sanitizing protocols. You can avoid germ contamination risks greatly if you use a hand sanitizer after every hand wash. Take a look at the products available under the category of Purell Hand Sanitizer Pump and Flip Cap Bottles. You will find products that offer advanced antimicrobial germ killing solutions. The hand sanitizers of Purell are alcohol based and contain many other ingredients. These solutions are capable of killing 99.9% bacteria and viruses on your hands. Purell makes top quality hand sanitizers. These products have been tested in labs for their germ killing effectiveness. While these liquids remove harmful bacteria completely, they do not cause any harm to the skin of your hand. You can safely use these hand sanitizers every day multiple times without any side effects. Just make sure you follow the instruction about how to apply the sanitizer, when to apply it, and how long to leave this solution on your hands. It is important to know that hand sanitizers are used in two ways. The most common and prescribed method is to apply a hand sanitizer after washing the hands with soap and water. At some places, hand sanitizers are used as an alternative to the soap and water washing. However, a hand sanitizer is not advised as a replacement to the soap and water. You should use a hand sanitizer only after washing your hands thoroughly with soap and water. This hand cleaning protocol is especially necessary in places like clinics and hospitals where risks of infections are very high. As the term suggests, a sanitizer is used to sanitize so do not use it as a replacement for the cleaning agents. You need a hand sanitizer because soaps are formulated for common and average cleaning, not for deep hand sanitizing. When you want to be 100% sure, use a hand sanitizer after washing your hands with soap and water. Alcohol based hand sanitizers of Purell are very effective in killing most bacteria and viruses. The sanitizer also includes a small amount of moisturizer because the alcohol can leave the hands dry. 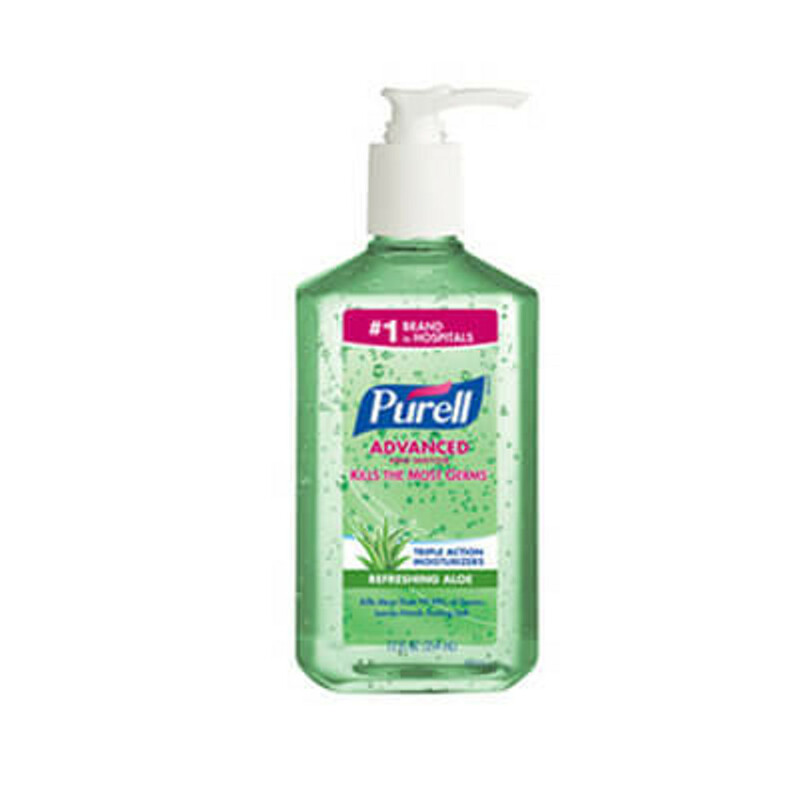 For higher skin health, order Purell Instant Hand Sanitizer with Aloe. It has many skin conditioning ingredients. You can use Purell’s hand sanitizers multiple times whenever you need it. The solutions are completely safe for your skin. Hand sanitizing is a healthy habit that helps lower the risks of infections. Purell gives you many product options in terms of sanitizer formulation, bottle size and liquid delivery mechanism. Buy its hand sanitizer with the pump and flip cap bottle systems to make hand sanitizing process quicker and easier. Order the bottles in large numbers to save money. Provide these sanitizers in the restrooms of your workplace because most people now expect it as a standard item at the wash basin.